What is Gas Safe (and Corgi)? 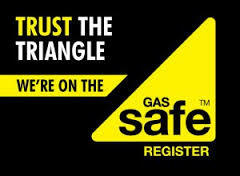 The Gas Safe Register replaced the Corgi gas safety scheme on 1 April 2009, after the Health and Safety Executive had put the job of running the register out to tender. The regulations remain the same and all work previously completed by Corgi registered engineers is still classed as safe, but they have to re-apply to be listed on the new Register. FACT: Approximately 20% of UK households with a gas boiler have not had it serviced in the last 3 years!